Travel with us down Highway 57 to the land of fishin’ holes and homemade pie. To the Double Cupp diner for a double helping of fast-paced, good-natured, foot-stompin’ hand-clapping fun. It may not be the most famous of shows but it might just possibly be the most fun. This Broadway hit is a mixture of country, rock, western-swing and folk music. 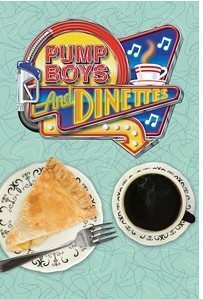 The Cupp sisters will tempt you with a second cup of coffee and a song and the Pump Boys will serenade you with hits like “The Night Dolly Parton Was Almost Mine.” With exciting live music, hilarious hi-jinks, down-home common sense, and featuring Steve Watts in the role that first brought him to The Fireside, PUMP BOYS AND DINETTES is sure to become one of your favorite all-time Fireside offerings! Welcome to Fort Atkinson Generals Baseball! The Fort Atkinson Generals are part of the largest adult amateur baseball organization called the Home Talent League. Originally founded in 1929 and continues to thrive today with approx. 45 teams in South Central Wisconsin. Take time to visit our comments page as we value your ideas and comments, then join us at historic Jones Park for some exciting adult baseball while you munch on some popcorn, famous brats and a beverage. The fun begins on Main Street. Join us for hands-on art activities, great sales in local stores, music, taste local foods and many more events all day long. Whitewater – Downtown – 150 W. Main St. 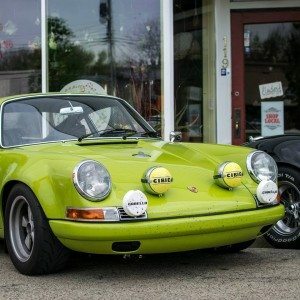 Welcome to 2shores Sunday “Cars and Coffee”. You’ve probably either heard of it or have been to it. It is the fastest growing classic car meet in the Midwest. Our sixth season, 2014, was awesome, thanks to all of you bringing your rockin’ cars out! The gathering is open to classic and collector car enthusiast from all makes and models. We’d like to invite everybody with a passion for exciting automobiles to come, bring a car and enjoy the meeting. Our emphasis is to share the passion for cars, mingle with like-minded car nuts and enjoy our automobiles. Thank you all for bringing your wonderful cars and supporting the event! We meet at our Showroom on 119 Church Street, Lake Mills, WI 53551. Lake Mills is conveniently located right off I-94, just a short 20 minutes East of Madison and about 45 minutes West of Milwaukee. DIRECTIONS: There is ample parking at and around our showroom. We never know if the weather will co-operate but the meetings take place “rain or shine”, so please pay us a visit. If you want to be included on the 2shores Sunday “Cars and coffee” mailers, send us a quick email and we will include you on our list. We meet monthly – on the first Sunday of the month, May through October, from 8am until 11am. 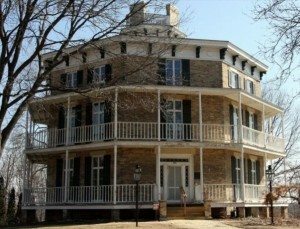 Enjoy the First Brigade Band Concert as you enjoy a relaxing afternoon with ice cream and other goodies while touring the Historic Octagon House and beautiful grounds where you can see the first U.S. Kindergarten building. Watertown – Watertown Tourism Council, 919 Charles St.
It’s truly a family affair when The Browns hit the stage. The musical stylings of Shelly, Michaela, Adam and Andrew exude excitement and offer a life-changing experience to all who hear them. They deliver the powerful message of the gospel through word and song that engages audiences of all ages. The Browns have received the prestigious honor of Top 10 Mixed Group of the Year four years in a row. 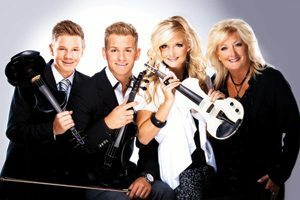 This award-winning family group is sure to inspire with their close-knit family harmony and talent.